If your iPhone 7 plus has a cracked glass this is the repair you will need. This will replace your top glass only. Includes parts, labor, and 90 day warranty. Is your iPhone 7 plus not charging, connecting to your computer or only working intermittently? Fixed in just 45 minutes. iPhone 7 plus not holding a charge for very long? Battery dying too quickly? We've got you covered. Have it fixed in about 45 minutes. Did your home button stop working on your iPhone 7 plus. We can fix it same day but please call about details for this repair. iPhone 7 plus power button stop clicking? We've got you covered. Stop by and have it fixed today. iPhone 7 plus Volume buttons not working? We've got you covered. Stop by and have it fixed today. iPhone 7 plus back camera having issues or not showing a image? Same day repair. iPhone 7 plus front camera blurry, not focusing or just stop working all together? Same day repair. 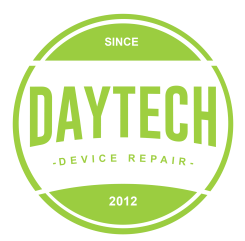 We repair cracked screens on the iPhone 7 (4.7). Professional repair services for Paulding, Cobb, Kennesaw, West Cobb, Cartersville, Dallas, Douglasville, Villa Rica, Rockmart, Hiram, Acworth, Marietta, and Powder Springs area for iPhone 7 (4.7) cracked screen repair and replacement. Cell phone repair in Hiram and Acworth. Our new location is on Cedar Crest.